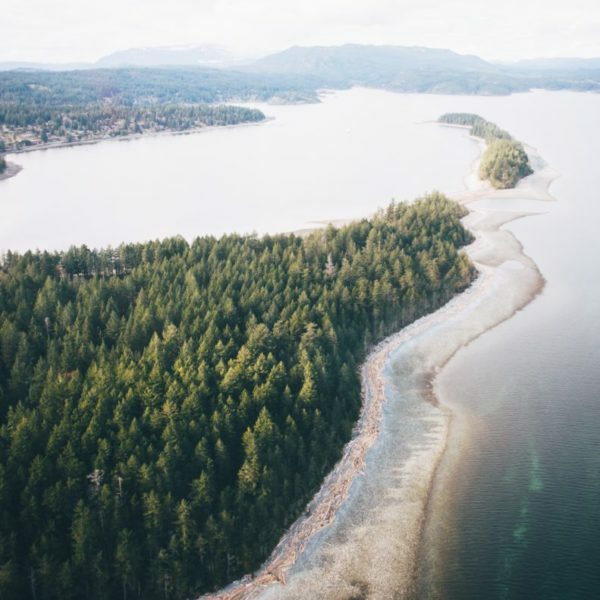 Nicknamed by the locals as the “Hawaii of Canada”, Vancouver Island is home to some of the least known but most awe inspiring places in the region. Campbell River is one of these places. I hadn’t even heard of Campbell River before being invited to explore the area by Destination Campbell River. 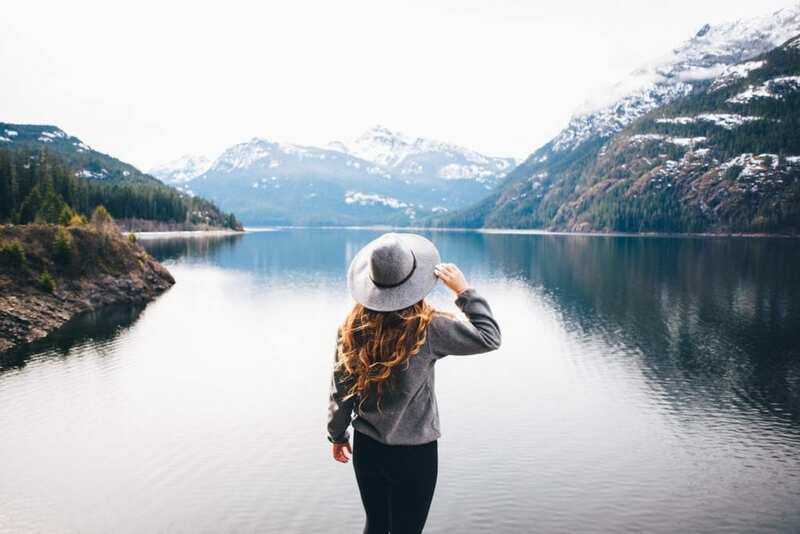 After visiting for only a week, however, I can honestly say it is one of the greatest places I’ve had the opportunity to explore and would recommend it to anyone looking to reconnect with the raw beauty of nature. Although only a short ferry ride from the mainland, it feels like a completely different world. 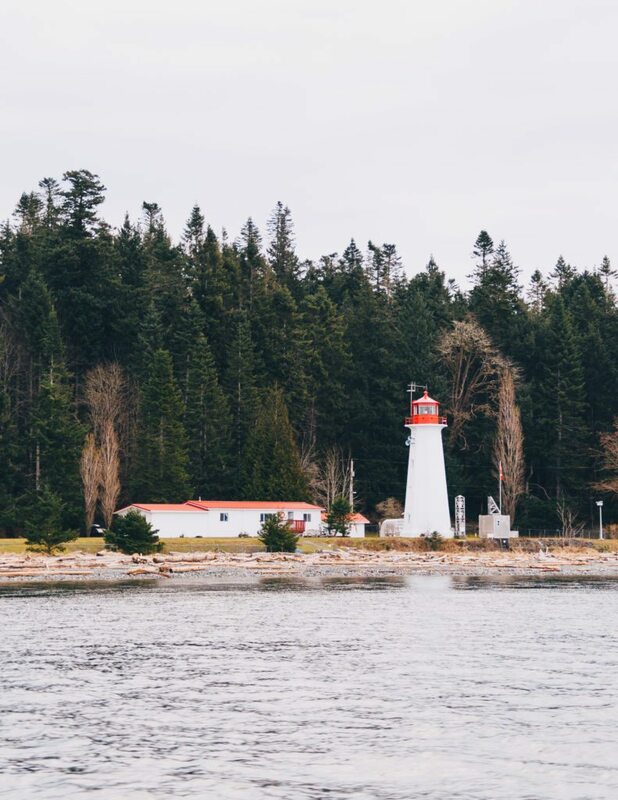 Campbell River is located on the Northeastern side of Vancouver Island, flanked by pristine waterfront on one side, and towering mountains on the other. The most prominent feature that stood out to me upon arriving was just how connected the local culture is to the wildlife and nature. 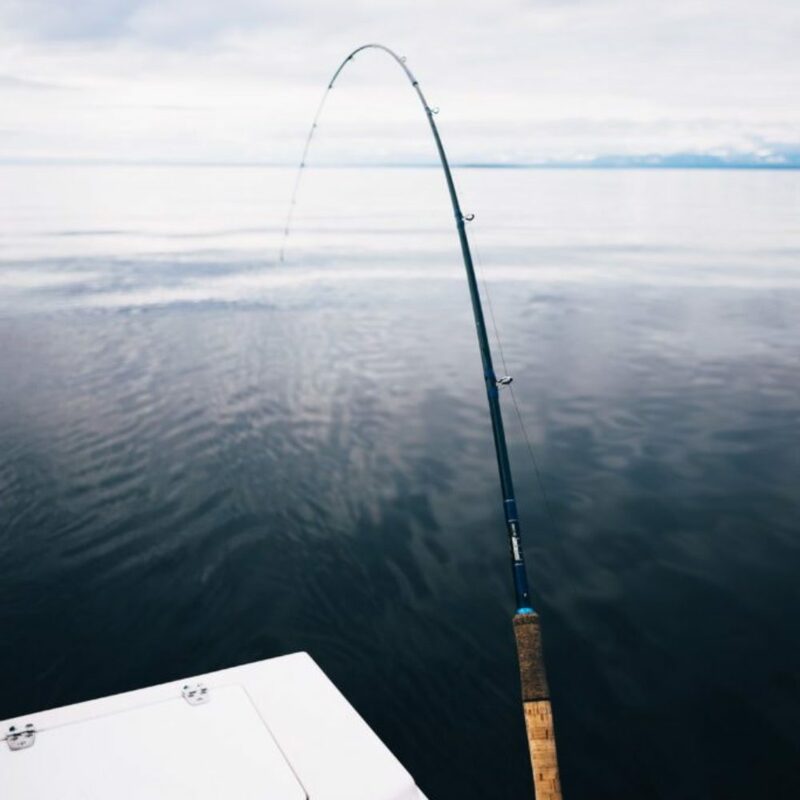 Campbell River relies heavily on the diverse fishing opportunities, and the people care for it with the utmost respect. We couldn’t have asked for a better first day. We went out on the water with Tall Tale Fishing Charters and Coastal Wilderness Adventures. Our boat captains, Steve and Curtis were extremely knowledgeable and welcoming. Within thirty seconds of pulling out of the harbor, we spotted a whale, a sign our day was going to be amazing. Passing over unexpectedly calm water, we traveled deep into the islands. We dropped our traps for prawns and Steve mentioned a secret spot we could check out while waiting for the fish to bite. He took us to a massive waterfall that fell into the ocean and was protected from view by a small cove. It was incredible how willing Steve was to share some of his favorite places with us. Departing the waterfall, we made our way across to the fishing spot. Our group caught a salmon large enough to keep and we collected a few dozen prawns. We filleted the fish back at the dock and sent it off to the Riptide Pub to be cooked. Where else can you catch a fish and have it cooked and ready to eat less than four hours later? After the fishing trip, we stopped at the Maritime Heritage Centre. The centre contains maritime equipment and artifacts from days past. 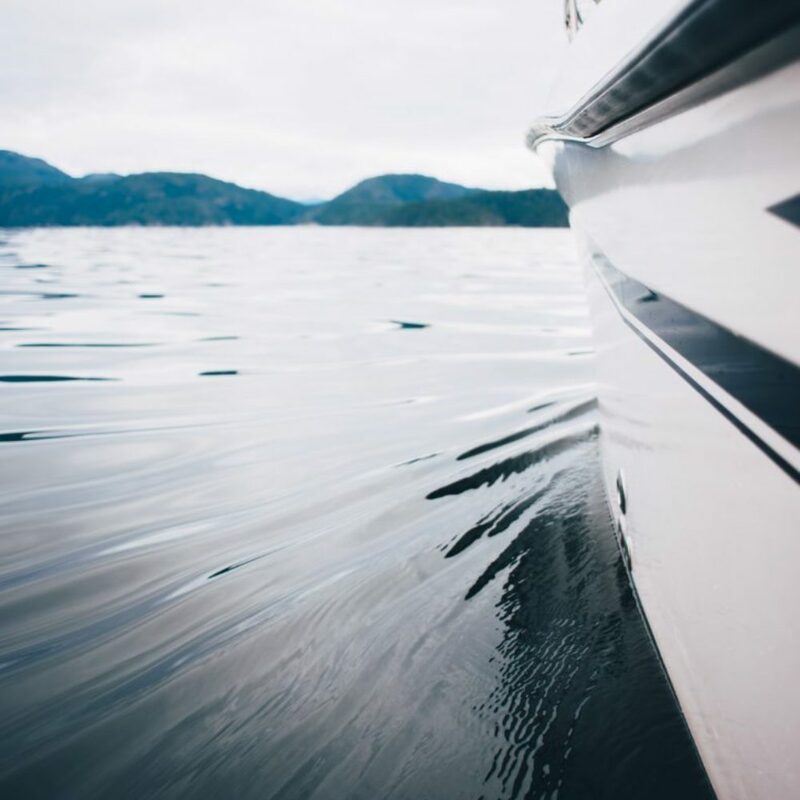 There is a rich maritime history that exists in Campbell River and its charm is highlighted by the people’s commitment to sharing their heritage. On our second day we visited Elk Falls Provincial Park. This park is home to a massive waterfall and suspension bridge. A short but beautiful walk through the forest leads you to the bridge and 25 meter waterfall! The dams that are located upstream were released on the day we visited, increasing the power of the falls exponentially. You could easily spend a few days exploring the intricate network of forest trails located in the park. 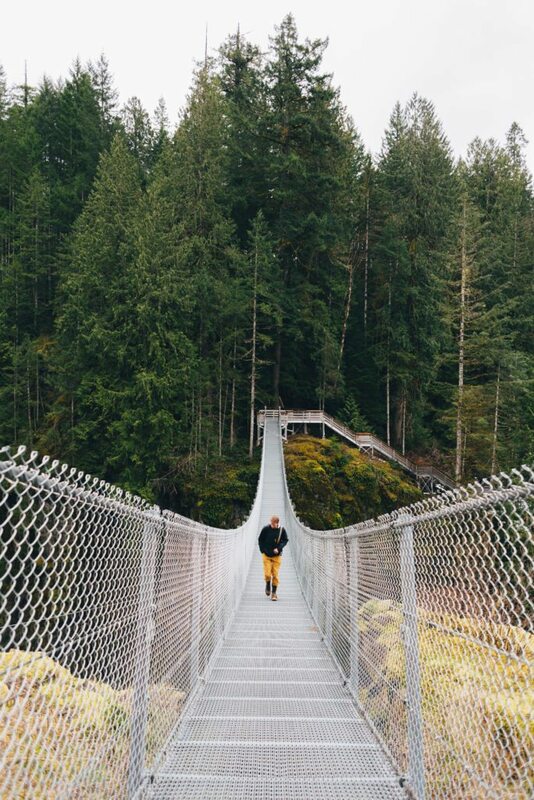 As we walked along the suspension bridge, the pounding water turned to mist and rose from the canyon floor. We visited the Haig-Brown Heritage House after exploring the falls. Robert Haig-Brown was a passionate fly fisherman, conservationist, and author. His work highlighted the relationship between man and the environment, especially the river. Located directly on the water, the house is transformed into a bed and breakfast in the summer. Our guide gave us vital insight into the mind of Haig-Brown when quoted him as saying “We were catching the fish, and then realized the fish caught us.” This quote really resonated with me. It embodies the spirit of Campbell River and its people. 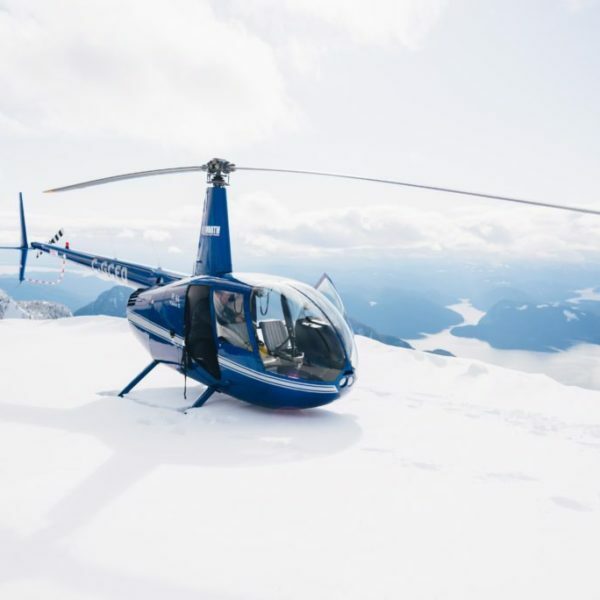 We were originally scheduled to take a helicopter tour on our third day, but due to weather, we pushed it to our last day. Instead, we had a full day to explore on our own. 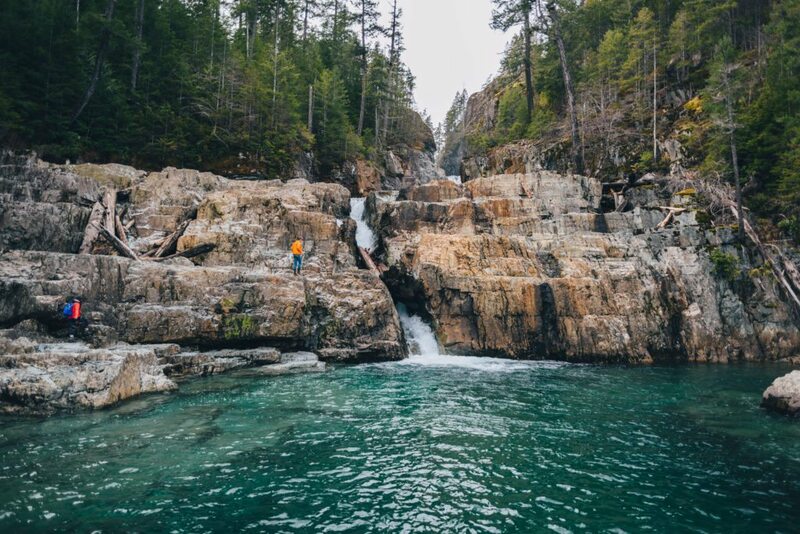 A few local friends recommended Myra Falls in Strathcona Provincial Park. 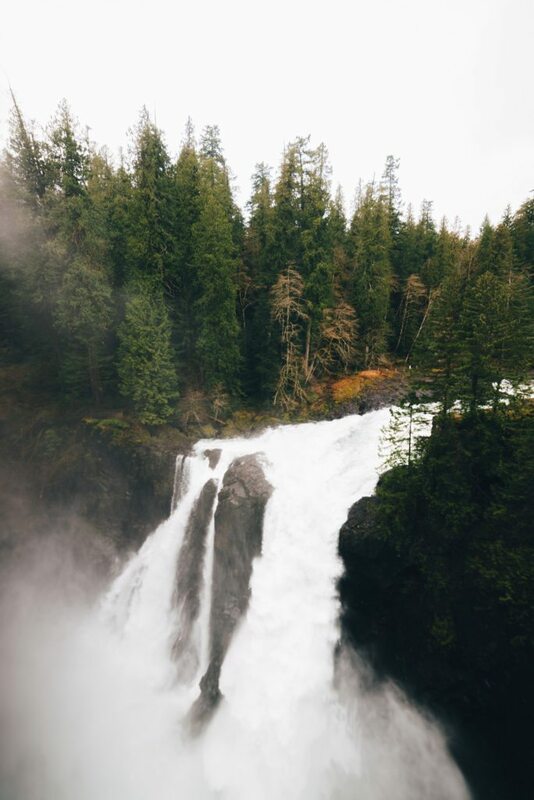 Located only about an hour’s drive from Campbell River, the falls offer some incredible hiking views. The weather was fairly cold as it wasn’t summer yet. With an air temperature of 40 degrees Fahrenheit or 4.5 degrees Celsius, the water was just barely above freezing. Nevertheless, my friend Luke and I couldn’t pass up the opportunity to jump in. Out of a group of five, the two guys originally from Alaska were the only ones willing to brave the cold. We jumped in twice, and I would highly recommend waiting until summer! After the second time I had to jog in place to keep from losing feeling in my hands and feet. After successfully cooling ourselves off in the water, we headed to Shelter Point Distillery for a tour of their facility. The distillery makes vodka, but is primarily focused on distilling whiskey. 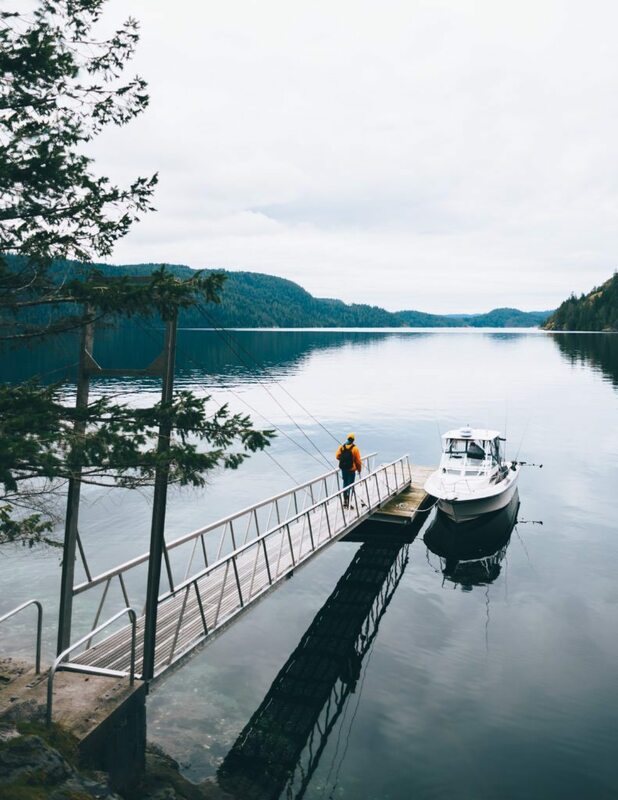 Located on Vancouver Island’s east coast, it sits hand in hand with nature on 380 acres of pristine land. Our final day was without a doubt, the highlight of the trip. Our first stop was the Discovery Harbour Docks where we met up with our guide from Big Animal Encounters. We passed massive rock walls and spotted a few dozen sea lions bobbing in the water. 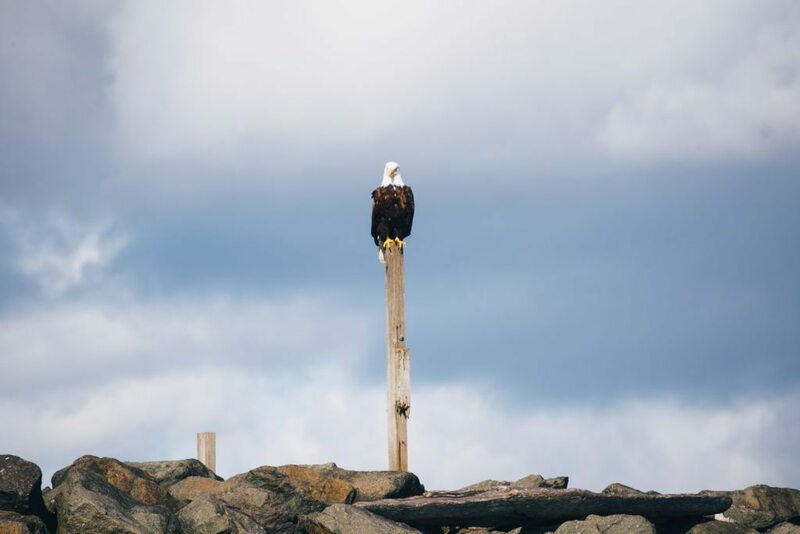 On our way back into the harbour we were greeted by a bald eagle watching over us. 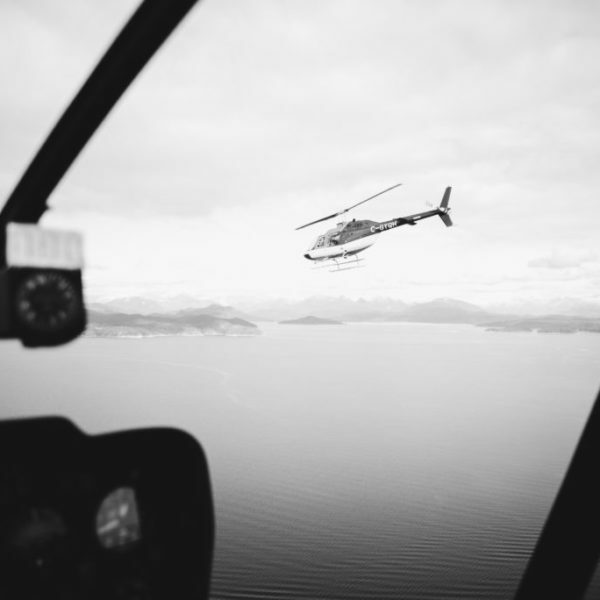 We then traveled from the water to the hangar and flew with 49 North Helicopters. 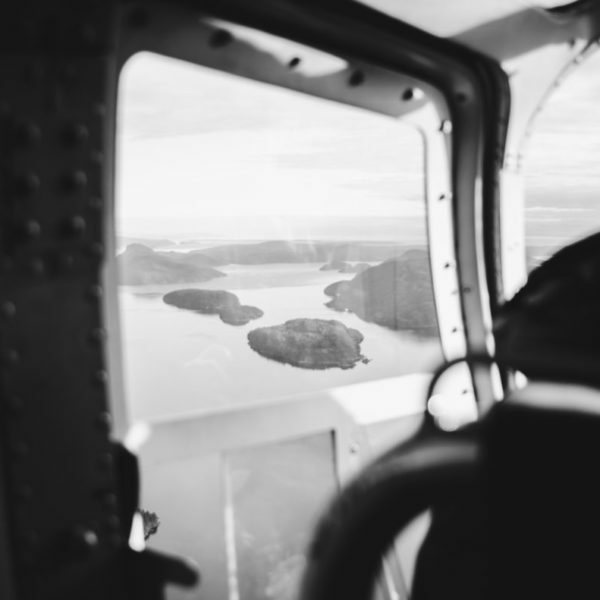 Our pilots Bastian and Dirk were extremely excited to show us the forests and islands from above. 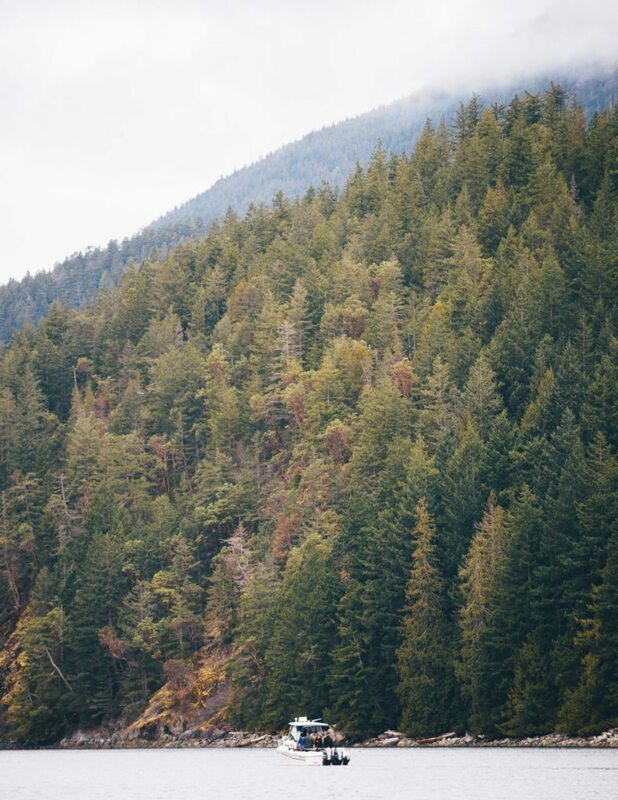 We flew deeper and deeper into the mountains until the vibrant green of the trees turned to pure white. At this elevation, the temperature allowed for a persistent snow cover. 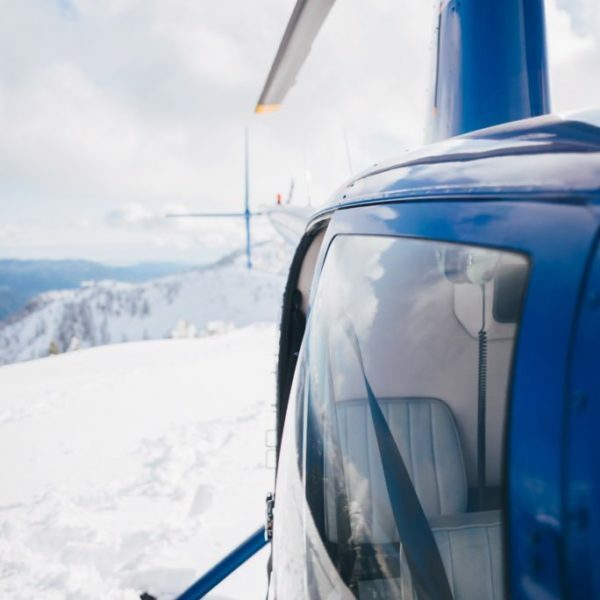 Circling a large snow covered peak, our pilots scouted for a place to land. We set down on three feet of fresh snow and shut down the engines. Breathtaking views greeted us in all directions as the cloud cover cleared. I’m already planning a return this summer, and when I come back, I will be flying again with 49 North. Their pilots’ knowledge and skill created a truly unforgettable experience. Campbell River is one of the most unique and awe-inspiring places I have ever visited. The connection between its people and the environment is truly something to be commended. I will be heading out on a road trip this summer from Alaska and I’ve made a point to come back and explore more of this amazing place. The people were so welcoming and I felt like I was back in my home town, surrounded by family every day. I truly can’t wait to come back, explore, and catch up with everyone I met during the trip.